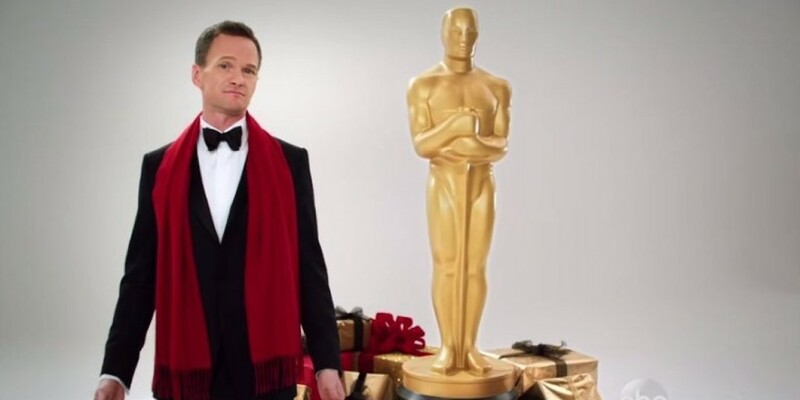 Neil Patrick Harris hosts the 87th annual Academy Awards. Harris reenacts a scene from Birdman on the Oscars stage. Hollywood’s most glamorous night took place on Sunday and did not disappoint; the 87th Academy Awards, hosted by Neil Patrick Harris, was a wonderful, star-studded event. The red carpet was fabulous as usual, with so many stand out looks. The show started off with a bang when Harris and Anna Kendrick performed an extravagant musical number together. Harris’s easy humor shined right away when he joked about the lack of diversity among the nominees. He really livened up the show by doing one segment in his underwear (! ), as well. Legend Meryl Streep introduced the In Memoriam segment, which was as moving as ever; it was followed by an emotional performance by Jennifer Hudson. Missed the show and need to know the winners? We’ve got the rundown of everyone who went home with an Oscar. 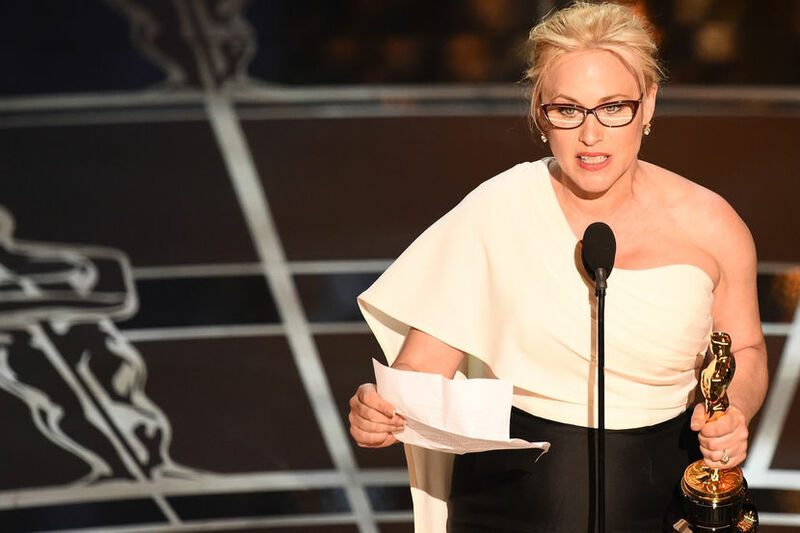 Patricia Arquette delivers a feminist themed acceptance speech. The first award of the night was Best Supporting Actor, presented by the fabulous Lupita Nyong’o, who was decked out in a gown with over 6,000 pearls. J.K. Simmons won the Oscar for his intense performance as a ruthless music teacher in Whiplash. 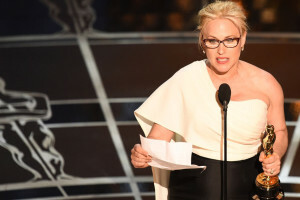 Jared Leto (clad in a light blue tux, long hair flowing in the wind) presented Best Supporting Actress, which went to Patricia Arquette for Boyhood, in which she played a mother over the course of 12 years. Her acceptance speech became one of the most memorable of the evening when she called for equal pay for women in the workforce. Cate Blanchett presented the award for Best Actor, which went to Eddie Redmayne for his portrayal of Stephen Hawking in The Theory of Everything. Finally, Matthew McConaughey presented the Oscar for Best Actress. The award went to Julianne Moore for Still Alice, in which she plays an Alzheimer’s patient. The biggest award of the evening was presented by Sean Penn; the winner of the Oscar for Best Picture was Birdman. The Grand Budapest Hotel and Birdman won the most awards for the evening. 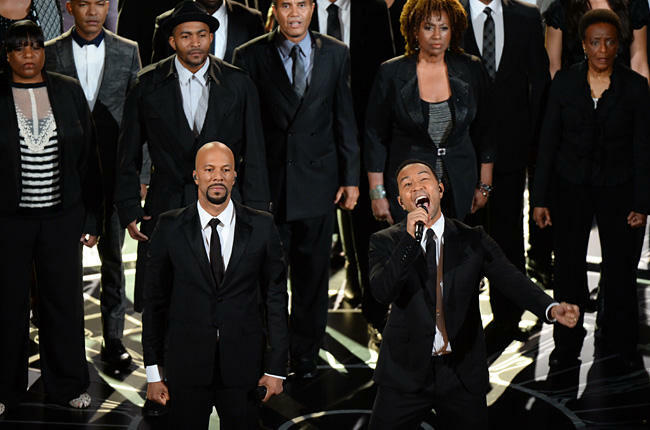 The Oscars went to a wide variety of films, but there were clear leaders. 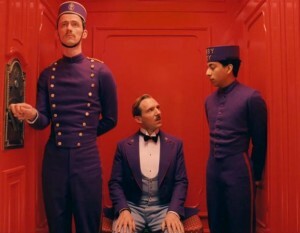 The Grand Budapest Hotel had four wins: Best Costume Design, Best Makeup and Hairstyling, Best Original Score, and Best Production Design. Along with best picture, Birdman scored three more Oscars: Best Original Screenplay, Best Cinematography, and Best Director. Best Foreign Language Film went to Poland’s Ida. Whiplash won the Oscar for Best Sound Mixing as well as the award for Best Film Editing, while Best Sound Editing went to Clint Eastwood’s American Sniper. The Visual Effects Oscar went to Christopher Nolan’s extravagant space epic, Interstellar. Big Hero 6 won the award for Best Animated Feature. The story of Edward Snowden, CitizenFour, won Best Documentary Feature. The Imitation Game secured one Oscar for Best Adapted Screenplay. The screenwriter, Graham Moore, gave an emotional speech about embracing your uniqueness and working hard to achieve your dreams. There were many musical performances throughout the evening. Adam Levine did a beautiful rendition of Maroon 5’s song, “Lost Stars,” from the film Begin Again. From The Lego Movie, Tegan and Sara performed “Everything is Awesome” along with The Lonely Island. Complete with a singing Batman and some dancing construction workers, it was certainly an unconventional Oscars performance to say the least. Tim McGraw paired his tux with a cowboy hat to perform the country hit “I’m Not Gonna Miss You.” Lady Gaga did a musical tribute to The Sound of Music. 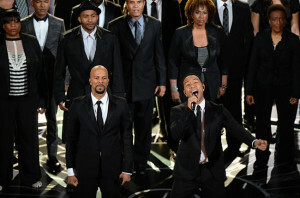 John Legend and Common’s performance of “Glory” (Selma) was incredibly powerful, and that went on to win Best Original Song. All in all, it was a great night with a few surprises and plenty of stars. How close were your predictions? Let us know in the comments, and we’ll see you next year!